Last year my pal Juanita and I hosted an international swop for bloggers (more about it HERE, HERE and HERE). A total of 9 bloggers participated. I made a video everyday as I opened the presents from my swop partner, then uploaded each unveiling video daily onto my facebook page. We enjoyed it so much that we are doing it again this year! We hope more bloggers would join us! – Are you a blogger? – Do you get excited opening (non-$$$) mail? – Would you like to celebrate Christmas with a (friendly) stranger through an international gift exchange? Open to all international friends with a blog. Swop partners will be announced on 01 November 2013. Swop packages shall contain 12 individually wrapped items free from culturally offensive, dangerous or illegal material. Budget: around $25 USD, excluding postage. By December: receive swop package from your partner. Open 1 item a day. and  to  miscellaneous items you think your blog partner would enjoy (some fun blog-stalking required). Share The Love Get more friends involved! Blog about this swop. 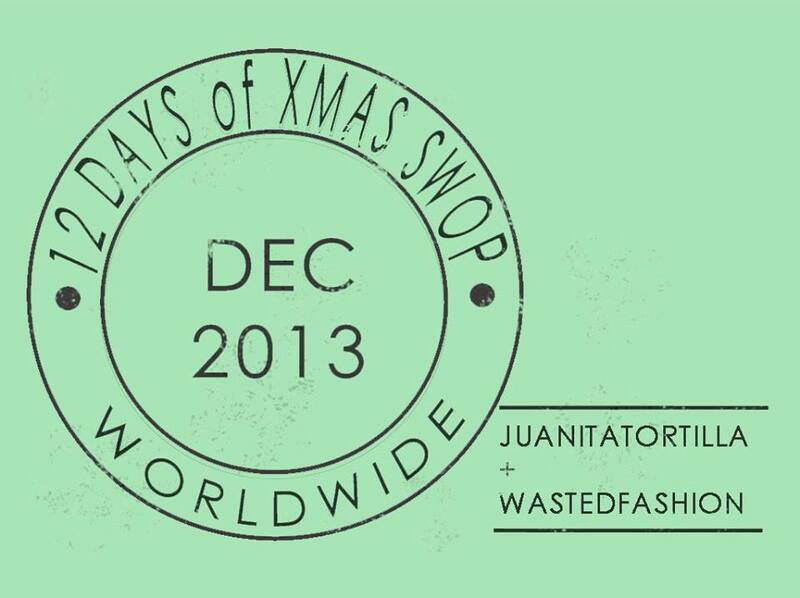 Grab our swop button! (Below) Wear the swop badge button proudly on your blog’s sidebar. 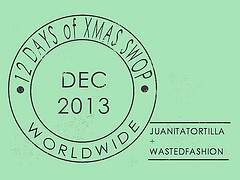 Categories: Freebies | Tags: 12 days of christmas swop 2013, Freebies, giveaway, international, swop | Permalink. This is awesome!! You’re back in as well!! YAY!!!! I’m so excited to sign up!! Hoooorah!!! Hello April!!! Thank you for joining!! YAH!! I was hoping you guys would run this again!! I’m so in!! Generally I get so annoyed at everything around Christmas, but last year Rich said I had good Christmas spirit – I think it was the swap. YAY!!!! I’m so happy you’re in!!! w000t!!! It’ll be fun! I found you via April’s blog! I’d love to join in!! Yay!!! So happy that you’ve joined us!!!! Visiting from Juanita Tortilla. Posted a blog about this on my site. I love the idea. ello Barbara!!! Glad you are joining us! p/s let’s get dinner if you’re ever in SF! Okay! I will hit you up if I get to SF!!! It’ll be on my list!!! I want to do it too, even though I’m not a super regular blogger. Yay!!! It doesn’t matter. It will be fun. Glad you’ve joined us!! !